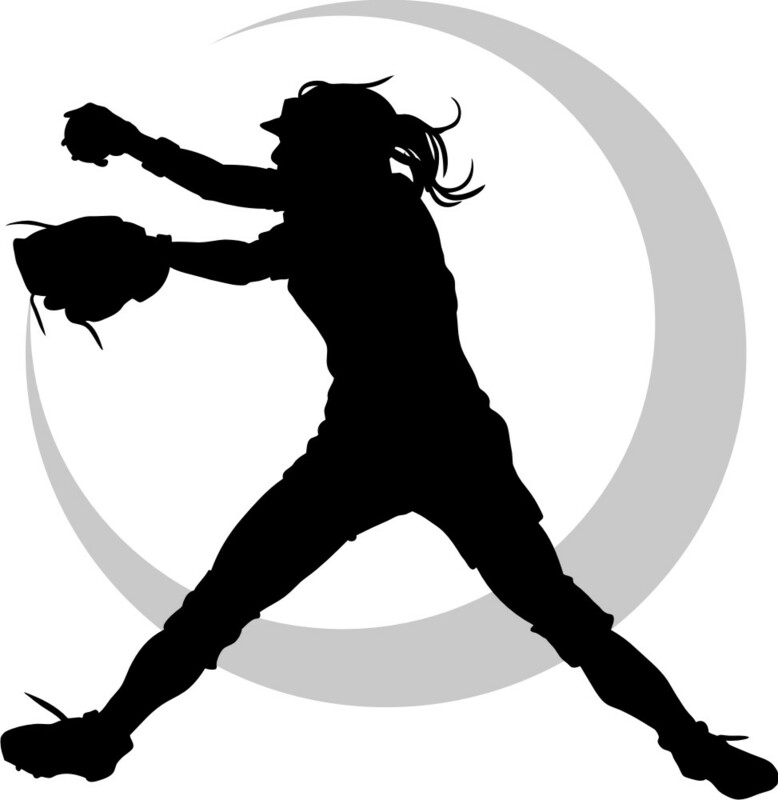 Churchill County Parks and Recreation invites you to join instructor Tammie Shemenski for winter instruction in softball pitching and catching. This clinic will help young ladies with ages ranging from 6 - 18 perfect their craft before the upcoming seasons. 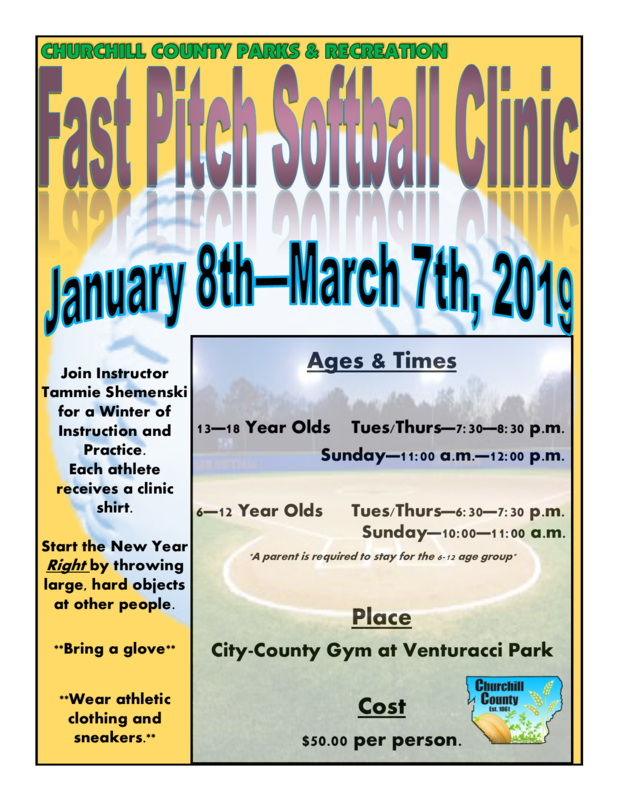 The clinic will take place at the Venturacci Gymnasium on Tuesday and Thursday evenings with additional instruction available on Sunday mornings. 13 - 18 years old:	Tues/Thurs - 7:30 - 8:30 p.m.
6 - 12 years old:	Tues/Thurs - 6:30 - 7:30 p.m.
Sunday - 10:00 - 11:00 a.m.
A parent must stay at the clinic during the 6-12 age group practices at all times!